First, half the red peppers and roast in oil and seasoning for 30 minutes. For the salsa, dice the red onion, tomatoes and coriander. Mix together with lime juice, vegetable oil and seasoning. For the hummus, blitz the chickpeas, garlic, roasted pepper, seasoning and lime juice in a food processor. 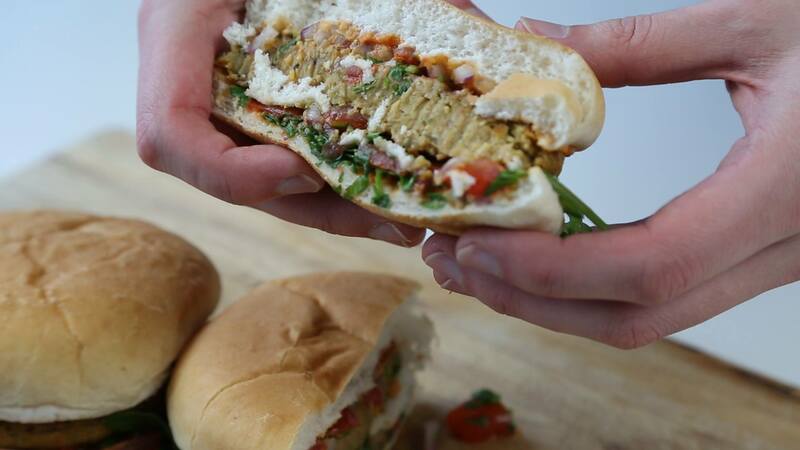 To make the falafel, blend together chickpeas, fresh coriander, onion, and all the other dry ingredients until the mix is formed. Then fry for 2-3 minutes on each side. 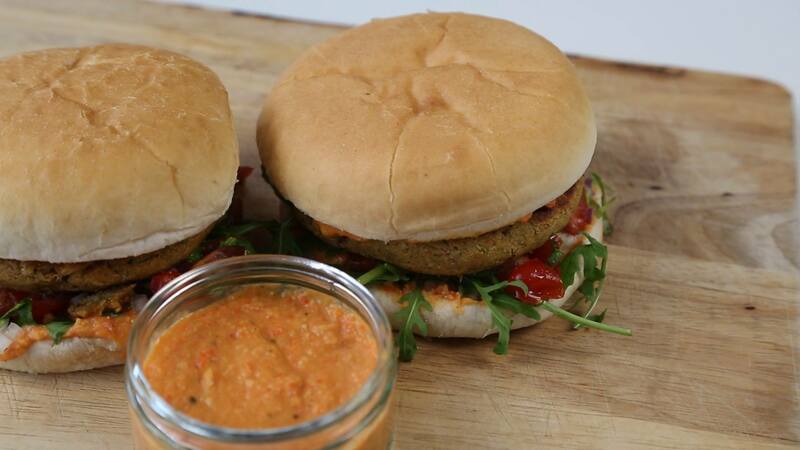 To serve, spread the hummus on both sides of the bun, top with rocket, salsa and the falafel ‘burger’.